This appointment reinforces the company’s growth strategy in the U.S., which focuses on leveraging its global technology capabilities and partnerships with the world’s leading cloud players to support multinational enterprises’ digital transformation. According to McKinsey Global Institute, over the last decade, the global flow data has accounted for $2.8 trillion of the world’s GDP — exerting a larger economic impact than trade in physical goods. To keep up, companies are replacing traditional private networks with next-generation hybrid WANs that give them better visibility and control, and boost application performance, while reducing networking costs. At present, the U.S. is Tata Communications’ largest market outside of India, and the company is seeing increasing adoption for its business collaboration and mobility expertise, as well as its IZO™ SDWAN, IZO™ Internet WAN and IZO™ Hybrid WAN cloud enablement services. These services enable businesses to build an innovative enterprise network that combines the scalability and cost-effectiveness of the public Internet with the resilience and reliability of a private network. To future-proof its capabilities, the company continues to invest in its offering in the Americas. For example, it is part of a consortium of leading technology companies building the new Hong Kong-Americas (HKA) cable system between California, Hong Kong and Taiwan, which will bring enhanced speed and reliability of connectivity between the business hubs of Asia and the U.S. Through its global network and cloud, mobility, IoT, collaboration and security services, Tata Communications today carries around 30% of the world’s internet routes and connects businesses to 60% of the world’s cloud giants. Gunawardana has been with Tata Communications since 2015, serving previously as the company’s Vice President of Sales for the Americas. In this role, he was responsible for driving the development of near and long-term go-to-market strategy in both the service provider and enterprise segments in the region. 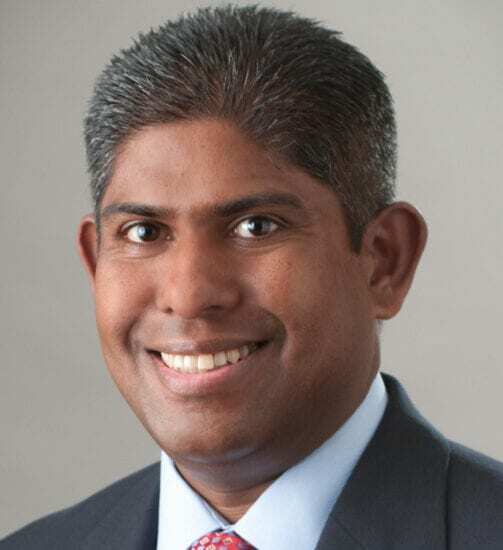 Prior to joining Tata Communications, Gunawardana was Head of Global Mobility Vertical Sales at Juniper Networks. He has also held positions at Nokia Siemens Network, Alcatel Lucent Technologies and Bell Labs. © 2019 Tata Communications. TATA COMMUNICATIONS and TATA are trademarks of Tata Sons Private Limited. IZO is a trademark of Tata Communications in certain countries. All other trademarks are the property of their respective owners.